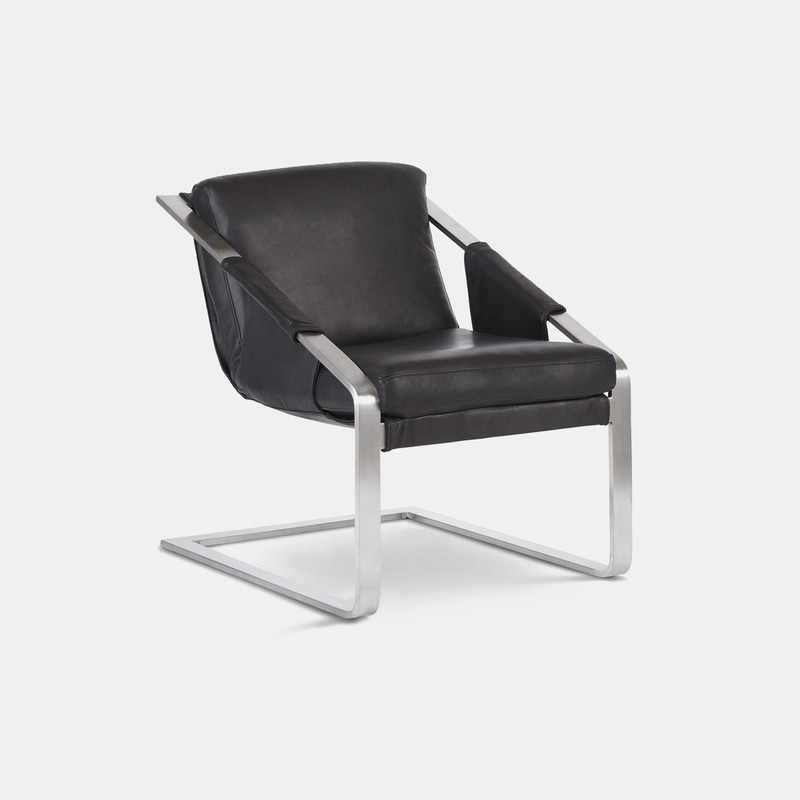 PRODUCT DIMENSIONS Depth: 32.5in Width: 26in Height: 32.5in SH: 19in SD: 21.5in This piece is upholstered in a top-grain, full-aniline nubuck leather that is luxurious in both its soft hand and how it will patina over time. This leather will exhibit natural characteristics of the leather hides. This is the beauty of truly 100% authentic natural leather. 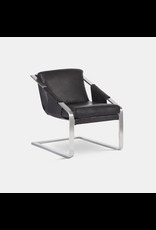 The chair frame is heavyweight and sturdy, as it is made from stainless steel. It has a brushed finish. Our seat cushions are made from high resiliency, high density polyurethane foam cores to provide soft, yet supportive comfort. Our products do not contain fire retardants or CFCs.